Aldershot is close to several motorways and major roads, including the M3, A3 and M25, which provide connections to London and the South Coast. 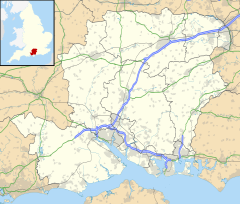 Its nearest dual-carriageway roads are the A31 to its south, heading east towards Guildford and the A3, and the A331 to its east, heading north towards Farnborough and the M3. Formerly known as Fleet RUFC, the club started in 1991 as a pub side. The club was renamed Aldershot and Fleet RUFC (A&F or the Stags) after their move in 2003 from Farnborough to their current home Aldershot Park. With an ever-expanding juniors section, Aldershot & Fleet were successful in winning the coveted RFU "Seal of Approval" Club of the Year 2008 for the southern region. They now play in the Hampshire 2 league with Jason Huish as their captain. Furthermore, the club hosts a Rugby League Vet's team for over 35's.